Material combinations, such as magnolia white, high gloss acrylic fronts and horizontally grained, naturally matt mountain-larch are the latest trend. 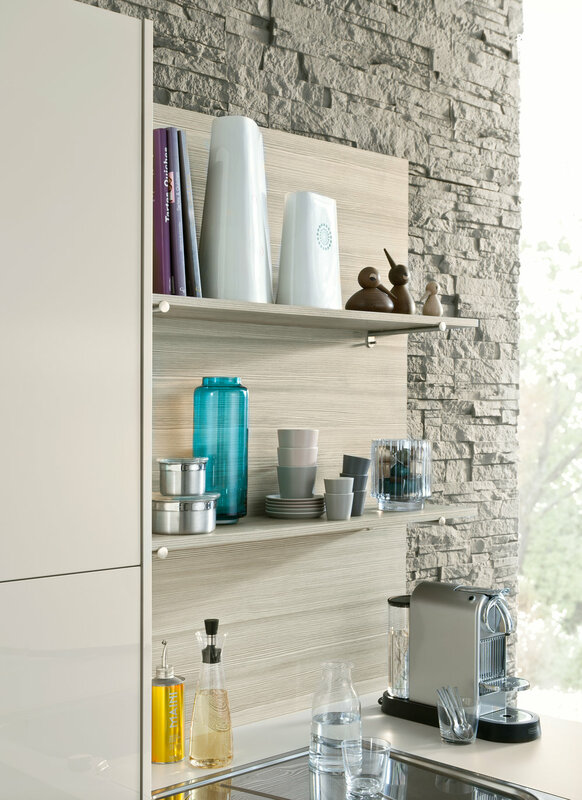 The shelf unit with its panel rear wall and the handle-less floor units are both accessible from the dining area. The peninsula opens the kitchen to three sides. 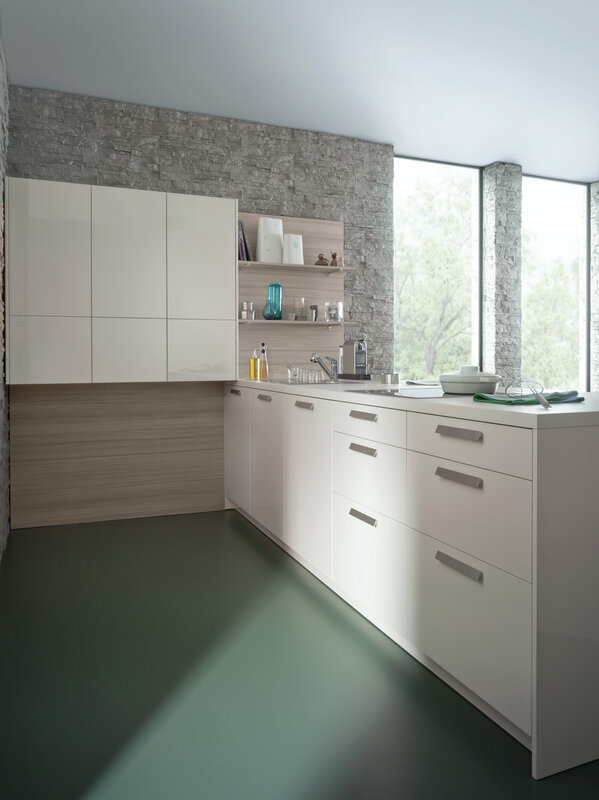 A planning feature: lateral side panels together with the flush, colour matching worktop produce a closed isle block. 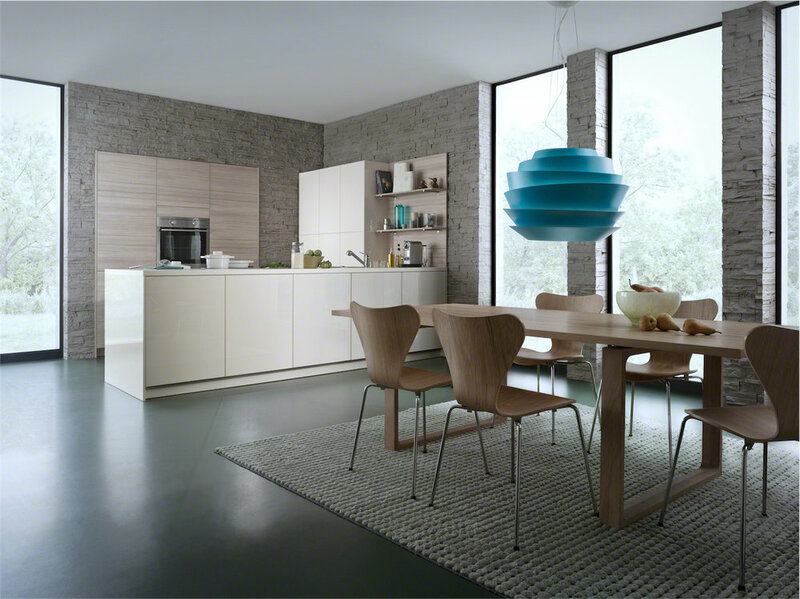 Handle-less wall units with touch-opening mechanism blend in to give an overall appearance of tranquillity.